Playing a custom sound when a push notification arrives from the Apple Push Notification Service (APNS) is quite simple. This tip assumes you're using our extension and that you've already got push notifications running. Firstly you need to create your sound and export as an iOS supported format, such as caf. Then the custom sound will play when your notification arrives. Using PHP to send a message to a Google Cloud Messaging registered device is quite simple. In this example we'll be using curl to create a message request to send to the Google GCM server. The code shown in this example is just going to demonstrate how to send a message to a registered device ID. Sending a notification to an Android device just keeps getting simpler and simpler. The current implementation of Google Cloud Messaging provides developers with a very simple way to send push notifications to a particular device. What I'm going to show here is how to send a notification to a device once it's registered with your server. 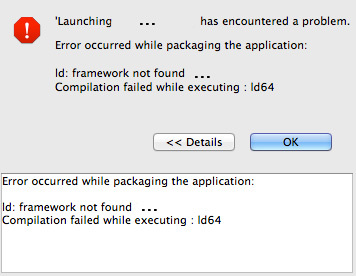 This error simply indicates that the native extension you are attempting to package requires some features from the iOS SDK or a version greater than the one you are currently using. To remedy this, make sure you are using a recent version of the iOS SDK and correctly including it in your packaging options. These are just optimisation warnings and will not directly affect the operation of the application. You are safe to ignore them. Distriqt has recently entered into a new relationship with One Meaning Communicated Differently. 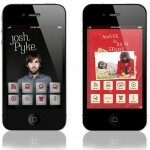 The new entity called ZAPPP will develop a mobile application platform for musicians in Australia. This represents an exciting new direction for distriqt, and defines new areas of digital development we are now focused on. We have developed apps for some of Australia's biggest bands, including The Living End, Angus & Julia Stone, Grinspoon, Josh Pyke, and The Getaway Plan - just to name a few. The whole point of starting ZAPPP was that we didn’t want to just create mobile versions of band websites and call them an App. We think that Apps are useless unless they provide value to both the user and the Artist, so we created the ZAPPP feature which allows the Artist to have a direct & meaningful relationship with the User by offering them exclusive incentives and rewards through the functionality of our Apps.